HISTORY books have it on record that in the 1970s to early 2000, asbestos was fetching a reasonable price on the world mineral market and as such Zvishavane and Mashava towns, the main centres of the extraction of chrysotile fibre, grew in leaps and bounds. With the favourable asbestos prices, the then Shabanie and Mashaba Mines (SMM), now the African Associated Mines (AAM), were thriving to the extent that a 17-floor asbestos plant was commissioned in Zvishavane in 1979 making it the tallest building in the country at that time. The surge in the production of chrysotile fibre saw with it the emergence of suburbs such as Mandava, Maglas, Kandodo, Birthday and Chinda Heights in Zvishavane to accommodate the growing workforce and its families. At its peak, the asbestos producing giant employed 5,000 workers, with over 100,000 families from surrounding areas depending on the mines and close to 200 downstream and upstream industries benefitting from full-scale operations at the mine. Then around 2004 when asbestos production staggered, mining, the only known economic activity in the area, choked. With the only source of livelihood limping, most of the businesses in the settlement crashed as the parent company found continued operations unsustainable. 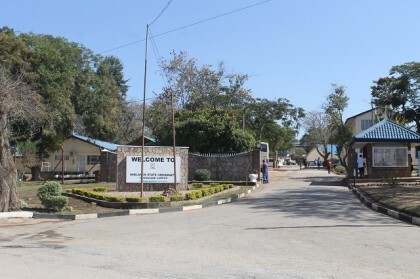 However, as the old adage goes, “every cloud has a silver lining” the economic activity in Zvishavane and Mashava is now centred on the operations of two universities, the Great Zimbabwe University (GZU) and the Midlands State University (MSU) with several primary and secondary schools also sprouting. These include Errymaple primary and senior schools and Marlon Junior School. Chritsina Senior School owned by prominent Zvishavane businessman Mr Clever Pote, is set to open soon. In Zvishavane, MSU has stationed some of its faculties at buildings previously owned by the asbestos giant, while the GZU also has some of its faculties at Gaths Mine in Mashava. The two universities negotiated 20 to 25-year renewable leases for the occupation of the buildings. According to outgoing MSU Vice-Chancellor Professor Ngwabi Bhebhe, the university brought over $100 million worth of investment to Gweru meaning Zvishavane over the years will amass such figures as the number of students grows. The sudden increase in students has lit up Zvishavane bringing relief to the residents of this former vibrant town. As a result, almost everyone has turned into a business person with homeowners anticipating accommodation demand, building or turning their houses into boarding houses for desperate students thereby increasing cash flow in the community. Banks, the town council, shops and the taxi business all now rely on students as books overtake mining. Scores of Zvishavane women can be seen outside the campus gates, with canteens stretching across selling food to the students from as little as 10c per two bubble gums. “We thank God for these students because some of us are renting our houses to them while others are selling food to them outside campus. Big supermarkets like OK, TM and Pote, hardware shops and the hospitality industry are all benefitting from the students,” said a vendor, Mrs Martha Tachiona. Private players in the medical sector have also firmly established practices as student visits keep them busy 24/7. Town secretary, Mr Tinoda Mukutu, said he was happy MSU has set up its campus in the town and this would be a cue for major investments. According to MSU, the institution of higher learning has expanded into Zvishavane as part of its growth strategy. Facilities at the new campus include administration offices for key units such as the bursary and registry sections. Apart from its different geographic location, all functions and processes related to management, teaching, learning, and students’ welfare are the same as those currently in place at the Main Campus. Government appointed AMG Global Chartered Accountants’ partner, Mr Afaras Gwarazimba, to administer operations until the two mines became viable. In the sporting arena, both towns of Zvishavane and Mashava had a vibrant sporting legacy, which churned out international stars such as former national soccer team captain, Francis Shonhayi, and national long distance champion Zephaniah Ncube. On the music arena, the famous Devera Ngwena Jazz Band was born in Mashava.